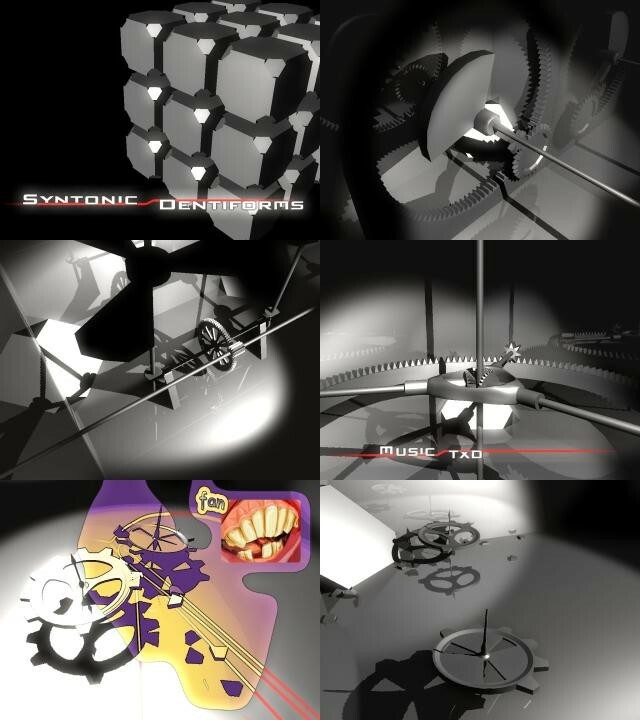 Syntonic Dentiforms is a demo (non-interactive program that shows realtime graphics and plays some music). We (Nesnausk! team and a couple of friends) did it on our spare time for fun and experience. The demo was developed during Feb-Mar 2004. We took it to Breakpoint'04 demoparty in Germany, it got 6th place (out of 22). postprocessing effects (cartoon style via several color transforms/edge-detection and Bloom for glow). In code we made heavy use of DirectX9 and some of it's cool features (notably Effects Framework).